The way I like to work with Simple Stories elements and several other designers incredible takes on the challenge and all the details of the challenge is on the Simple Stories blog. Have a great Saturday and NSD! such a great photo of your boy! great layout! LOVE the photo and GREAT job on the layout! such a great boy LO. love it! Such a cute page and a cute photo too! love the simple designs of this one Rebecca! That photo is so adorable! Such a great page! 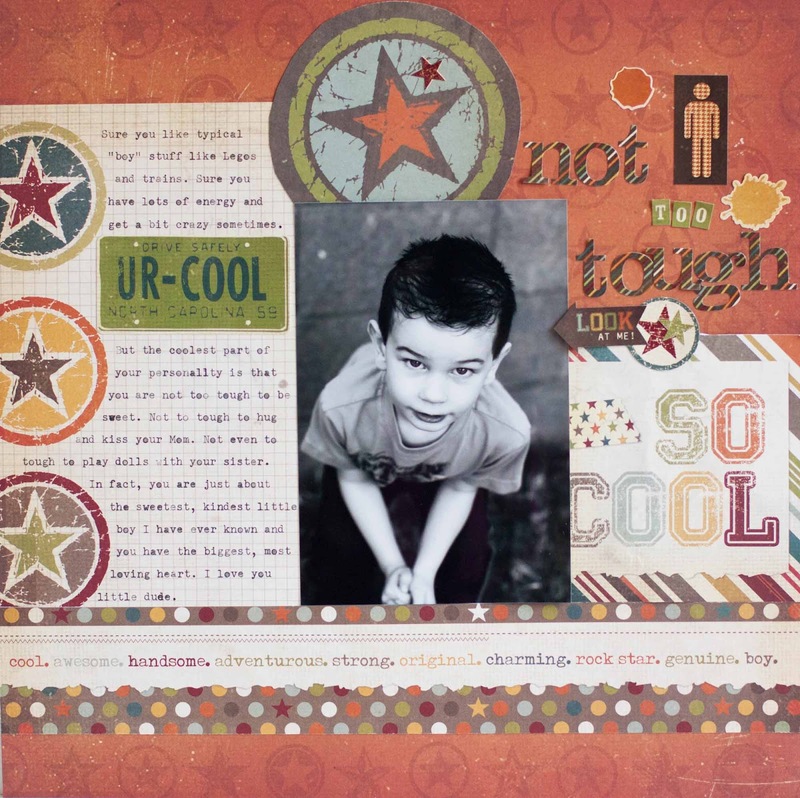 I am loving this great boy collection and I am really loving this layout of your handsome little man! gorgeous! do they make the tape you are using? love that!